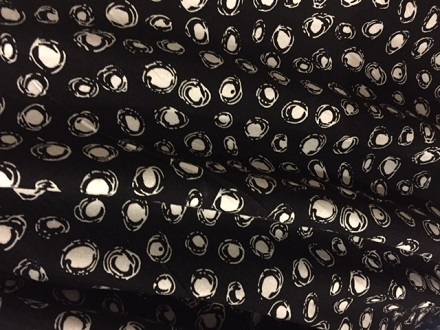 60″ wide 95% Rayon 5% Lycra A fun black and white to create that one of a kind knit top. Skirt, jacket or dress. Beautiful superb quality rayon knit with a liquid butter drap.